As a Toyota dealership in Kentucky, it is our pleasure to help you find new cars for sale near Murray. Our new Toyota vehicles offer added amenities that are competitive with other brands, like Apple CarPlay and Toyota Safety Sense. If you're interested in the fantastic gas mileage than a new Prius gets or want to test out a robust Tundra, this is the place to do it! However, we offer more than just all-new cars for sale. 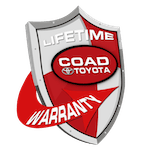 We also feature a fantastic selection of used cars for sale near Murray, KY. Everyone knows how reliable the Toyota brand is, and that used models are no exception. Our used vehicles all have undergone a rigorous inspection and are ready to take you places! Start by turning right onto Walnut Street and then make a left on North 4th Street. Continue on North 4th Street and then take a right onto US Highway 641 North. Continue onto US Highway 641 South for 13 miles. In 3 miles, keep right to merge onto Purchase Parkway North toward I-24 Calvert City. In 6.1 miles continue onto Purchase Parkway North. Take Exit 52B to merge onto I-24 West Paducah. After 21 miles, take Exit 4 onto the I-24 Bus Loop, US-60 toward Paducah. Then turn right onto Hinkleville Road toward Paducah, National Quilt Museum. Then make a left onto Coleman Road. Take a left onto Mike Smith Drive, and then our dealership will be on the right. Get directions to our dealership! Check out our finance department near Murray, Kentucky. Explore our car finance options online or in person with a Toyota professional. We look at your debt-to-income ratio, gross monthly income, and your credit score in order to determine eligibility. Apply for financing online now! Many other factors will play a role in our credit decisions, so be sure to talk with our car credit team about them. We will help you find cars for sale near Murray and get the financing you need to go with them! It is our pleasure to assist you.